Allisyn Arm Photos, News, and Videos | Just Jared Jr.
Kelli Berglund, Lauren Taylor, & Miranda May Ring In Fall with Just Jared Jr.! Kelli Berglund, Lauren Taylor, and Miranda May all look chic on the red carpet at Just Jared Jr.’s Fall Fun Day celebrating the season two premiere of Amazon Prime’s Gortimer Gibbon’s Life of Normal Street on Saturday (October 24) in Los Angeles. The ladies were joined at the event by Dylan Riley Snyder, Emma Fuhrmann and her BFF Chloe Csengery, Aidan Alexander, Sonny With a Chance‘s Allisyn Ashley Arm, The Good Dinosaur‘s Raymond Ochoa, Henry Danger‘s Sean Ryan Fox, Instant Mom‘s Tylen Jacob Williams, and Fresh Off the Boat‘s Albert Tsai and Forrest Wheeler. “had a blast at the @justjaredjr @justjared party,” Lauren wrote on Instagram along with the below photo! FYI: Kelli is wearing a BCBGeneration romper. 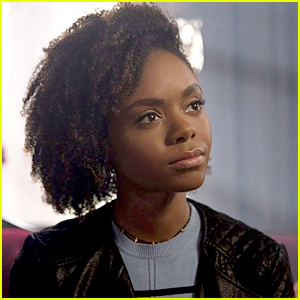 Emma is wearing a BCBGeneration dress. 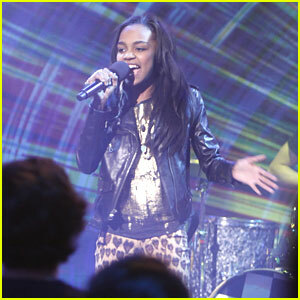 China Anne McClain hits the So Random stage in this new still from the upcoming episode. Some of the sketches you’ll see in this weekend’s show: Mr. Goodman takes his class on a field trip to an Art Gallery; Angus convinces a board room of executives to buy the shin-ercizzer; a salesman pitches watching a logical show over a random show; Braggy Benson’s sister tries out to be a cheerleader; and Tantrum Girl discusses Smart Phones and bypasses having a tantrum;. The cast performs these skits and more in an all-new episode of “So Random!,” premiering SUNDAY, FEBRAURY 12 (7:30-8:00 p.m., ET/PT) on Disney Channel. China will be performing “Unstoppable.” Check out a clip below! So Random airs Sunday, February 12th @ 7:30PM ET/PT on Disney Channel. 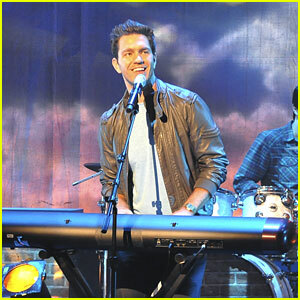 Andy Grammer Performs on 'So Random'! Andy Grammer tickles the ivories of his keyboard in this new still from tonight’s So Random. The up-and-coming musician performs his hit song, “Keep Your Head Up” in the episode! Also in tonight’s sketches: The stage crew realizes they’re the real stars of the school play; Sergeant Slumber teaches the do’s and don’ts of sleepovers; Detectives Hickory and Dickory solve fairy tale crimes; Victoria and Lyla talk to their dogs about people at the movie theater. So Random airs TONIGHT @ 7:30PM ET/PT Disney Channel. Allisyn Arm: Hollywood Christmas Parade With Chris & Doug Brochu! Allisyn Arm shows off her darker do as she attends the 80th Anniversary of The Hollywood Christmas Parade on Hollywood Boulevard on Sunday (November 27) in Hollywood, Calif. The 15-year-old So Random star was joined at the event, which benefited the Marine Toys For Tots, by Doug and Chris Brochu. “Fun with @bradley_s_perry @jason_s_dolley @adamirigoyen @4CastisSunshine @olivia_holt & @iamLeoHoward at the Christmas parade last night! :)” Allisyn wrote on her Twitter page. Halloween Gets 'So Random' with Iyaz! 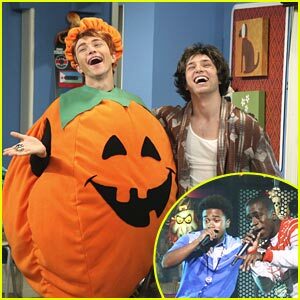 Sterling Knight dresses up as a giant pumpkin in this new still from a Halloween-themed So Random. In this weekend’s episode: Hush Puppy and Footy Scent rap about the perfect candy pants for trick-or-treating in “Candy Pants Rap;” unfortunate trick or treaters encounter Rufus on Halloween in “Rufus: Halloween;” and in “Fly Guy (Superhero)” Fly Guy’s upset stomach prevents him from going after Pumpkinface. Allisyn Arm goes glam in a one shoulder dress at the Los Angeles premiere of Real Steel at Gibson Ampitheatre on Sunday night (October 2) in Universal City, Calif. 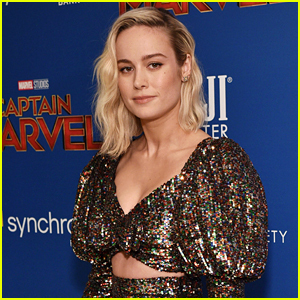 The 15-year-old So Random star was joined at the event by costar Audrey Whitby. FYI: Did you know that Allisyn has been a vegan since she was 12? Kristen Stewart Runs Errands in L.A.